This book details, day by day, how the punk scene in the U.S and U.K. developed. It lists when bands were formed, how they changed and where they were playing. This is really a reference book that can be used to find out when and where various groups came to be and certainly not a novel. Along with the text listings for each day there are pictures from promo material and newspaper advertisements for the bands. The Heartbreakers and Thunders solo work as well as the Dolls are noted in great detail. The book comes with a CD containing interviews from various bands such as the Dead Boys, Adam Ant and Nick Lowe and music from the band Hagfish. 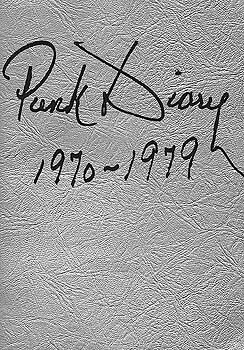 For more info, check out the Punk Diary site.